Google just gave us a good update. A really good update. The Ability to browse in silence. That's because Google Chrome will finally mute annoying autoplaying videos by default. 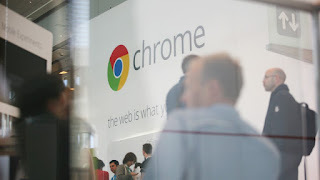 The update, part of Google Chrome 66, recently launched for the browser's desktop and mobile apps. So what is new? With the update, you'll no longer have to manually mute sites that autoplay videos with sound. Instead, Chrome will block the videos from playing altogether (note that videos set to autoplay without sound will still play). As usual there are some caveats. The only exception will be sites where you've "previously shown an interest in media on the site." So expect sites like YouTube, where you've likely engaged with a lot of video in the past, to still play as they normally would. This also applies to mobile browsing (unless you have a website saved to your home screen), which is nice because it can be much more difficult to spot and manually mute the offending site in a mobile browser. It feels good right. One of the World's biggest companies whose primary business model is to know more and more about us is caring more about our privacy. Nice.